The following story is about the Scientific Method and some of my pitiful house plants. I realize that in some places in CA a blooming geranium is really not much more than an annoying weed, but not on the prairies. For years, I have tried to get even one geranium in the house to bloom all winter. No luck. And, I apparently have also failed at getting my bromeliads to bloom. Suddenly, I had an idea: Maybe if the Atall School kids had some of my plants this winter, they could get beautiful blooms. So, off I went to this rural school–armed with the scientific method and some of my failing plants. 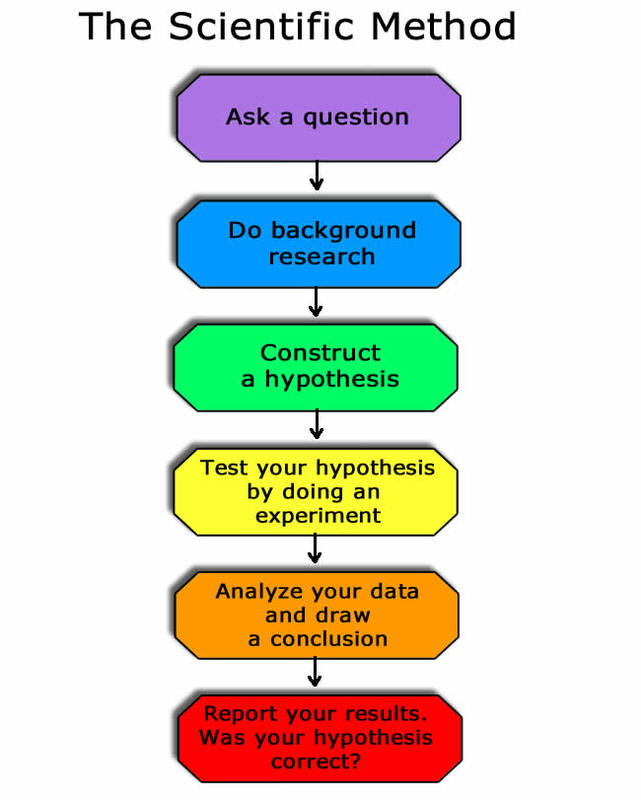 Below, you will find the Scientific Method, which students often use in school. Next I am sharing a couple of photos of my plants, and finally I will make the connections between these seemingly two unrelated topics–the scientific method and my plants. Learning is all about making connections. Below here is a photo of my friend’s, Julie’s, bromeliad plant, which blooms constantly. You will see that one of the flowers is dead, and the other has just begun to bloom. 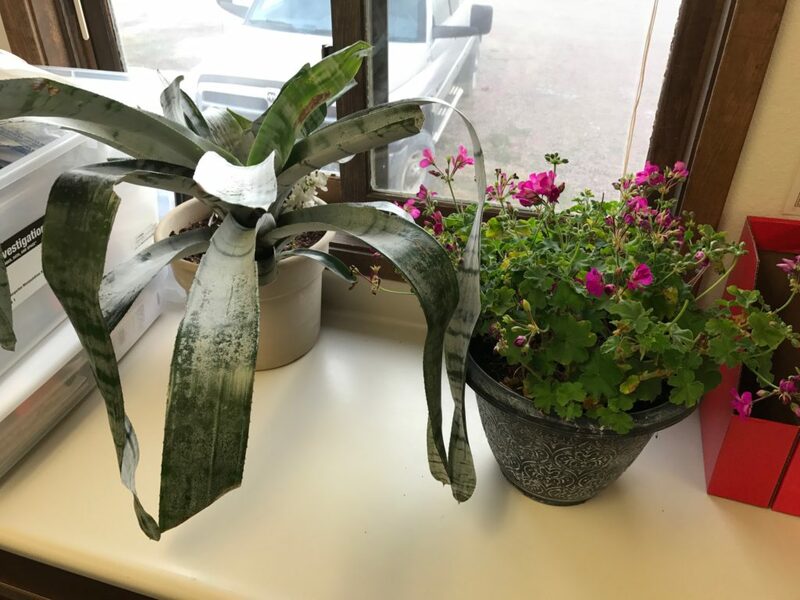 When the flower dies, Julie grabs the dead flower and throws it away, and then she cuts off the dying plant so that a new little “pup” can grow. Each little “pup” grows very large and produces a gorgeous flower, which lasts months. The photo below here are my plants which I took to Atall school kids. Please note that my bromeliad has no blooms, and that the geranium looks rather puny. 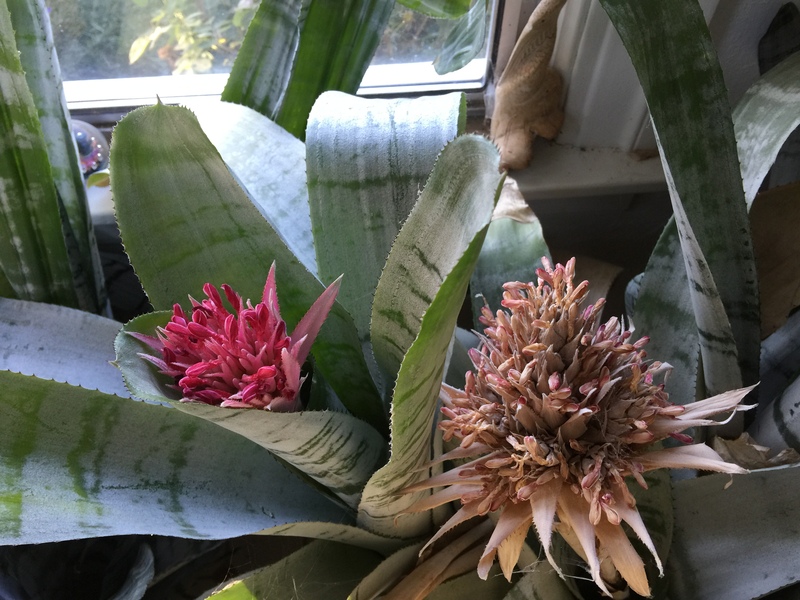 Ask a question: Why won’t my bromeliad bloom? My background research: For 5 years I have asked friends and plant specialists and studied the bromeliads online. Construct a hypothesis: I have a hunch, er… okay, I hypothesize that the kids can get my bromeliad to bloom. Test my hypothesis by doing an experiment: I drove to Atall and left my bromeliad with the kids. Analyze their data: In the spring, I will check back in with the kids and share the results. Report the results: Stay tuned for a WinkWorld in the spring. Ask a question: How do I get a geranium to bloom all winter? My background research: Grandma Dora used to put her geraniums in the public library front window in Moville, Iowa, and they would grow to the ceiling and bloom like crazy. In the spring, people would come and cut a small section and go home and root the plants for their own yards. I have tried this for decades without luck. Construct a hypothesis: I hypothesize (a.k.a., I have a hunch) that if I take my geranium to Atall School, the kids can get it to bloom all winter. Test my hypothesis: I took the geranium to the kids. Analyze their data: I will share the data in the spring. Love it, and I never knew a hunch was a hypothesis!! Sure simplifies that word! Both houses are filled with plants, some winters the geraniums bloom like mad and some they don’t! I’ll be waiting for the results next Spring! I knew I would hear from you, as your plants are so beautiful!